With pleasure we would like to invite you to visit our booth during the AHR Expo, JAN 14-16 2019 in Georgia World Congress Center in Atlanta. You will find us on Hall C, booth C6364. We will present our American VENTUS air handling units as well as WING air curtain and VOLCANO air heater. 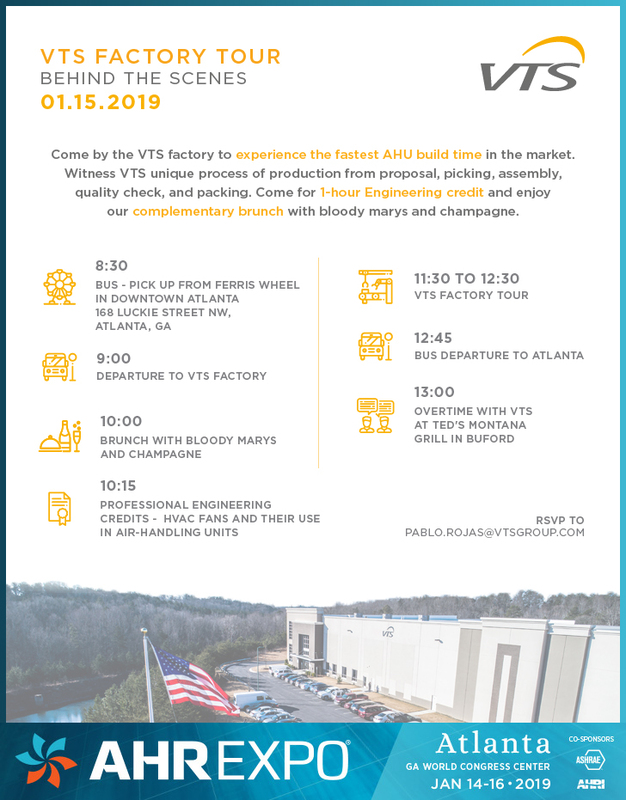 We have also for you special event at Tuesday, 15.01.2019 – VTS Factory Tour. If you would like to join us, please contact with Pablo (pablo.rojas@vtsgroup.com). More details you will find below.